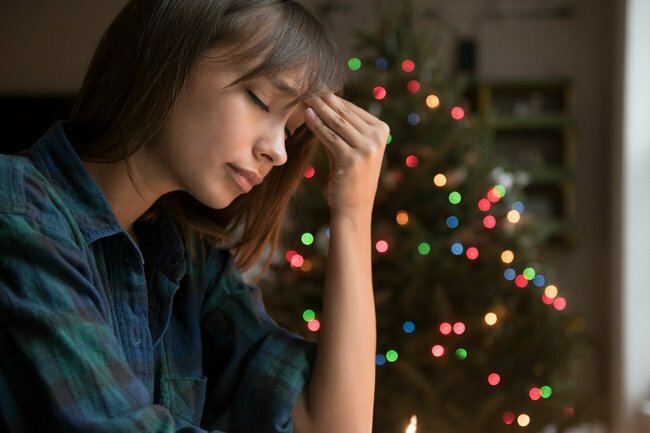 Do you get Christmas anxiety? A doctor explains why. Dreading family Christmas? Don't feel guilty, there's a reasonable explanation for it. A lot of my patients get very anxious as Christmas approaches. As Christmas carols and tinsel escalate, so too does their anxiety. They dread the festive period for the “busyness”, the constant catch ups and Christmas parties. But for many of my patients a lot of the fear comes from being lumped with their family for an extended period of time over the festive season – it’s often this that generates the most anxiety. They’re fearful of the dynamics between certain individuals, that they might offend someone they only see once a year at Christmas. Lots describe the pressure to please everyone – they drive between multiple destinations exhausted ensuring they see everyone (including those who they never see for the remaining 364 days of the year). Those who play host are exhausted by the flat-out shopping, pleasing, and providing. Having now lived through several Christmases as a GP, I’ve learned that my patients feel quite guilty about their Christmas anxiety. But I have to tell you it’s all quite normal and there’s a perfectly reasonable explanation for it all. Dysfunction is a feature of every family – the only question is the degree to which it is present. The families who claim to be completely functional, presenting a flawless facade to the world, are often the most dysfunctional of all. Don’t get me wrong, you can be a dysfunctional family and be quite healthy (that’s how I see my side of the extended family – FYI they have cleared this article), but the truth is that dysfunction exists in all family structures and trying to deny it often just makes it more pronounced. Recently, Prince Harry and Meghan Markle tied the knot, and the world was quick to comment on the Markle family – the word “dysfunctional” was used as a constant descriptor. Yes, it was all a bit ugly – but let’s be honest, aren’t most families at times this dysfunctional? Don’t we all have moments when a family member does or says something and we cringe just a tiny bit inside? Personally, I’m grateful Samantha Markle isn’t my sister but whilst we were all rolling our eyes at the Markle family we were failing to appreciate that all our families might look a tiny bit kooky if we had to live out our day to day life in the media. Families are very often dysfunctional and I have come to understand that this is the norm. You don’t choose the people you are sharing mince pies and turkey with, rather whether you like it or not, you are shoved in a room with people you don’t get to choose – family. A family doesn’t necessarily communicate in a healthy manner and this gets amplified over Christmas with alcohol and the pressure of Christmas. My husband and I recently discussed this after I had a patient complain about her children and the expectations they placed on her at Christmas time. William and I picked each other as family and that is the ONLY time we will ever get to choose family. Miss S, our daughter, despite being a cracking kid now will, at some point in our life, bring dysfunction – she will bring a wonky partner to the table or bring negative attitude (at some point I am sure I won’t be the cool mum I think I am!) or there will be some form of dynamic between her and a yet unborn sibling (also, I’m not pregnant before you ask) and that brings a level of dysfunction. Dysfunction is inevitable in a family – you can’t expect a set of humans to just “get along” because it’s Christmas or because they’re family. I have to say, I love Christmas. My side of the family are quite proud of our dysfunction – I think we accepted a long time ago that our dysfunction was actually as functional as it gets and we embraced it. That’s why it works. We disregard the egg shells, we have honest, sometimes heated discussion over coffees/red wines/watermelon cocktails and we accept that someone might say something a bit off but it’s not worth taking offence because at least we all get to hang out and share meals together. As my aunt, mother and I got locked in a three-way ding-dong some years ago (put three head strong women together and this can occur, trust me! ), my husband gently pointed out to me that disagreement like this occurred in my family because we all genuinely cared for another thus the emotionality – and we were all passionate beings and that was in fact a strength. He was right. You can try to accept the dysfunction. It’s a conversation I often have with my patients as they explain that their brother doesn’t talk to their mother because she doesn’t accept his partner. I tell my patients they may as well relax, enjoy an extra dollop of custard on the day, and accept that the situation cannot be fixed rapidly just because a man in a red suit with an overly robust beard is coming down the chimney (which when you put it like that just sounds scary). Dysfunction persists – yes, even on Christmas day. So, I say learn to live with a degree of dysfunction; all families are afflicted with it to some degree. Know you aren’t the only one. I’m sure Meghan will be sitting at Buckingham Palace over Christmas across from the Queen, navigating the dynamics between her and Camilla whilst wondering whether or not Kate actually doesn’t like her – she’ll realise that the royal family, despite all the glitz, glamour and fancy hats are just as dysfunctional as hers. 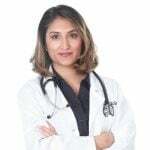 Because at the end of the day, we all have a degree of dysfunction in and around us and that’s OK.
Dr. Preeya Alexander aka The Wholesome Doctor is a GP based in Melbourne. She is passionate about all things ‘prevention’ in medicine. You can follow her on Instagram, via her blog and her Facebook.